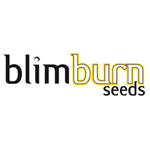 Blimburn Seeds - Wombat. Free US delivery. Wombat is a strain that results from the crossing of Blimburn’s favourite Original Haze with a punchy Critical Mass. Very vigorous growth allows for a very short growth period followed by fairly quick production of large compact buds. It will grow tall and produce very good yields for its size. It has a sweet taste with notes of haze.